It can be so frustrating that even when your skin is finally clear of active breakouts, you’re still left behind with annoying dark spots or dents. Hyperpigmentation and acne scarring are both extremely common ghosts of your acne past. 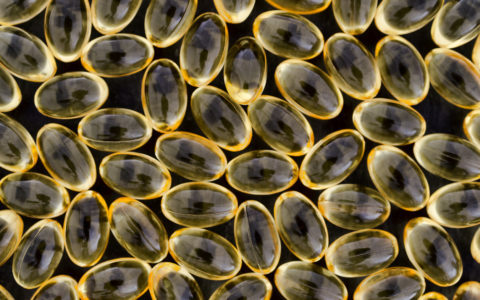 While it’s easy to confuse the two, they’re actually different — as are their treatment methods. We’re here to clear up your confusion, and your spots. The word hyperpigmentation is an umbrella term — meaning it refers to a huge variety of dark spots on the skin, including age spots, melasma, liver spots, and yes, acne scarring. 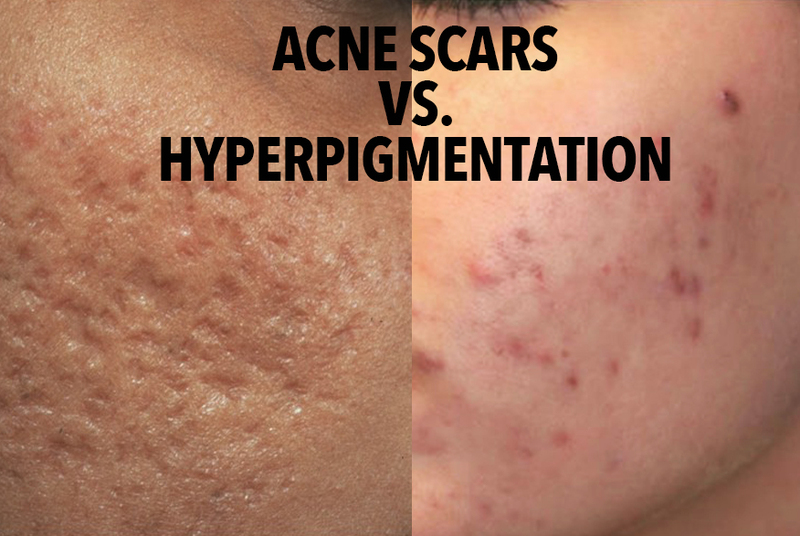 Unlike actual scars, which are raised or dented on your skin, hyperpigmentation is just a darker area of skin. While your breakout is still healing, these spots might start off as purple or red before fading into a darker tone of the surrounding skin. 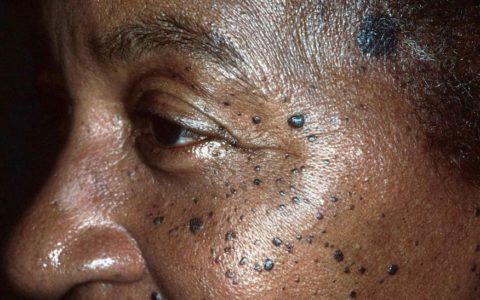 These hyperpigmentation spots are caused when too much melanin is created on the skin’s outer layers. Usually, this extra melanin production is your skin’s response and attempt to protect or heal itself, like after a pimple. While some dark spots can fade over time, the fading process depends on two things: the origin of the spot and your skin type. The good news is, there are tons of lightening and brightening products on the market designed specifically to alleviate hyperpigmentation of all kinds. It’s always best to discuss with your dermatologist all of your options for treating these spots and then deciding on a best course of action to banish them from your skin. Looking for a place to get started? 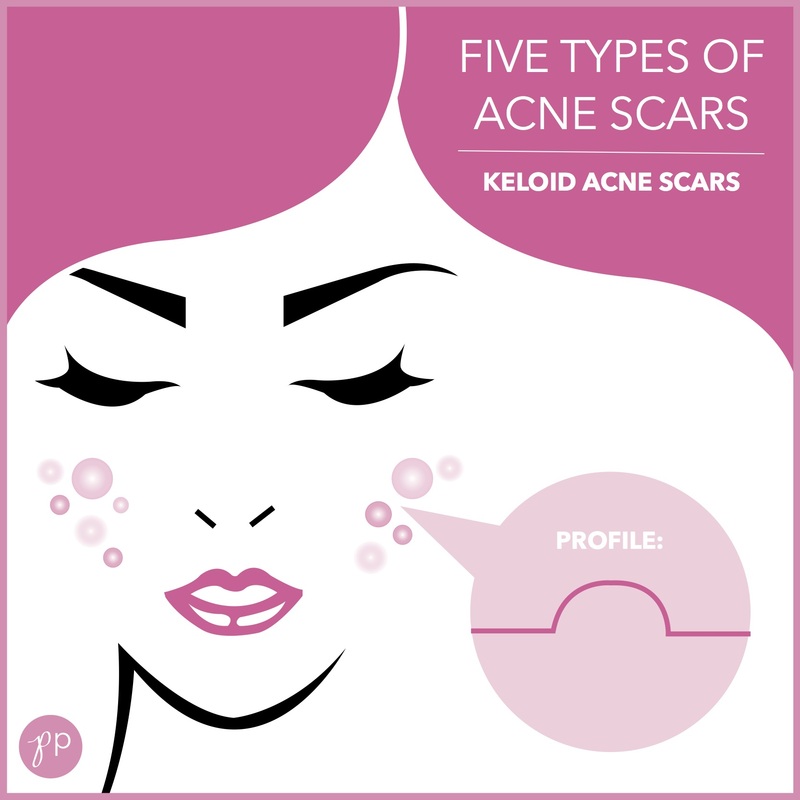 The way your skin scars depends both on your skin type and the type of breakout you most frequently get — papules, pustules, nodules, or cysts are the most common kinds of inflammatory acne that lead to scarring. You could experience several different types of acne scars, but it goes for all of them that the sooner you treat them, the better! Now that I know the difference between hyperpigmentation and scars, how do I get rid of them? For starters, applying sunscreen is a must — no matter what — but especially if you already have hyperpigmentation. Why? Because the sun causes your hyperpigmentation to darken or your acne scars to worsen, and that’s just adding salt to the wound. We recommend SLMD’s Daily Moisturizer with SPF 15. As for getting those spots to lighten or scars to lessen, there are a lot of options. To start, there’s a wide variety of dark spot correcting products on the market, in spot treatment, serum, mask, moisturizers and more, made with a blend of potent ingredients like hydroquinone, retinol, glycolic acid that will work to lighten and brighten these pesky spots. We love SLMD’s Retinol Serum. If topical products aren’t doing enough to rid your skin of spots, you may want to look into treatments like microdermabrasion or in-office chemical peels. Depending on your type of scarring, you may need to take different approaches to healing the skin, as topical treatments may not be as effective. For instance, cortisone shots work well for keloid scars, while laser and resurfacing treatments are ideal for icepick, rolling and boxcar scars. Remember that while there’s no cure for acne scarring or hyperpigmentation, the right products or treatments can be effective ways to treat and prevent them. Discuss options with your dermatologist to find the right regimen for you!